If you are from Alaska, you know exactly what we are talking about. If you aren’t… well, were talking about a little thing that happens right after you contract that horrible illness known as spring fever. Breakup season is the time when Alaska slowly starts to unthaw from the cold, frozen winter months. Parking lots everywhere turn into a slushy mess. And the side of the road isn’t exactly the prettiest sight to behold. Okay, maybe they are still pretty in a “rugged Alaska life” kind of way. Oh and your vehicle? Don’t even bother with a car wash for the next two months. 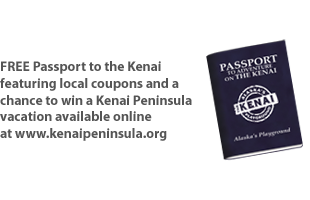 If you recently moved to Alaska, you aren’t officially inducted into the “resident” club until you’ve made it through a full winter AND a hard breakup. Don’t worry, the more you go through – the easier it gets. And as we start to come out of our winter hibernation… so do those other things that hibernate. Surprise! Being sure to always be prepared with a “layering system” is crucial during breakup season. And you can’t leave home without wearing your fanciest pair of rubber boots. But although breakups are not very fun, waking up early to catch a spring sunrise is always the best medicine. Or having a little night cap with an Alaskan backdrop? Yeah that’s not to shabby either. Are you ready yet? Summer will be here in no time! Our favorite way to rebound from a hard breakup (season) is by dreaming of warm summer days and midnight sun. One thing is for sure, no matter what season it is… it sure is a beautiful life on The Kenai, Alaska’s Playground! Do you have any telltale ways of rebounding from a breakup in Alaska? Share with us below!